"From a young girl I have always been drawn to horses. While I didn't grow up in a household with horses, I was fortunate enough to take riding lessons from a neighbor. Constantly wanting to learn more and experience more, I began watching and working with as many horses as possible, I couldn't get enough! I have never out grown my love for the horse. They are my heart's true passion and purpose in life. When I was an early teen I fell into a deep depression that went on for a number of years. Living in a state of constant internal chaos, confusion, self-hatred, and anger, I formed a very self-destructive lifestyle. Along the way, I manifested many physical symptoms of pain, tension, and illness. Doctors ran numerous tests and wanted to put me on several medications, but I refused to take their pills. It was during this time that the first horses to really call my own came into my life. The relationships we formed called to my soul each and every day. They helped me free myself from the emotional and physical habits and substances that had been my escape for so long. These horses helped connect me back to my heart and lead me to discover a deeper understanding of not only myself, but the ways of humans in general. The more enlightened and self aware I became the more I began to seek alternative types of healing and bodywork to release the physical, mental, and emotional restrictions I had within myself. I began receiving and studying many healing art forms from all around the globe. I have experienced first-hand, the magnificent healing power of horses and the undeniable benefits of Natural Therapeutic bodywork. I feel it is my honor and my duty to help people and horses alike in discovering, healing, and reconnecting with themselves as I have. The journey has truly changed my life." In 2011, Sierra completed introductory and advanced, Myofascial Release I and II courses in theory, practice, and clinical application of John F. Barnes Myofascial Release Techniques with horses as presented by Cathy Covell, PT, CMT. She assisted at many MFR seminars and training workshops, as well as offered her natural equine training approach and rehabilitation services at Cathy's facility in Indiana from 2010 - 2012. 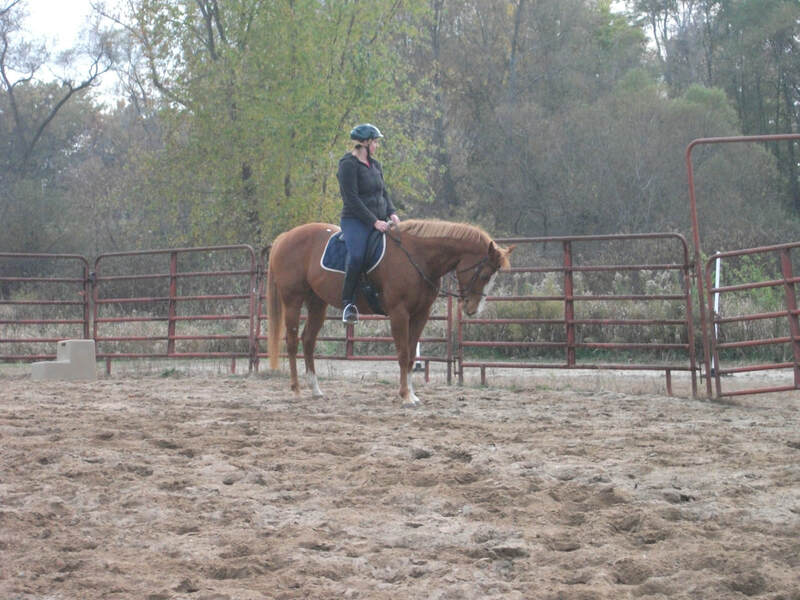 In 2012, Sierra furthered her John F. Barnes Equine Myofascial Release training by traveling to Virginia to study privately with Ruth Mitchell-Golladay, PT, CMT, NCTMB, EEBW, Author, International Lecturer, Host/Sponsor: Equinology Inc, East Coast. Sierra's years of horse experience, and personal processes, have taught her a great deal about not only horses, but people as well. In 2013 Sierra graduated from the Eponaquest Worldwide Apprenticeship Program, concentrated in Personal Development and Leadership. She is an Approved Eponaquest Instructor and Power of the Herd (POH) instructor; approved by Linda Kohanov and her expert staff. Sierra's incredible ﻿intuitive gifts and old soul help the hearts of many people and animals that come into her life. "The journey of self-discovery is a continuous adventure. Each day I practice and live the philosophies I teach in my programs. It's important to me that I can teach from my heart and from my own experiences." Sierra studies, experiments, and practices many forms of natural horsemanship and classical training methods; combining philosophies and techniques to adapt to each horse's individual needs. She has ridden English, Hunter/Jumpers her whole riding career, and began studying and training in Classical Dressage in 2012. Sierra has dabbled in Centered Riding and mindfulness practices for riders to help build confidence and unlock each horse and each rider's full potential. Sierra has always been an advocate of holistic health and horse care. She was introduced to essential oils and energy healing early in life, but didn't begin exclusively pursuing the work until 2012. Sierra is an active user and distributor of Young Living Essential Oils and products. In February 2016 Sierra graduated from the New Mexico School of Natural Therapeutics where she studied many modalities and philosophies for healing through Nature. She intensively studied Therapeutic Massage, Hot Stone treatments, Cryotherapy, Polarity Therapy, Traditional Chinese Medicine and Acupressure, Herbal Medicine, Foot Reflexology, Shiatsu, Living Food Nutrition, Flower Remedies, Philosophy of Natural Therapeutics, Basic Homeopathy, Core Synchronism, Cranial-Sacral Therapy, Essential Oils, and Hydrotherapy. "The body and spirit knows what they need to heal, but sometimes they just need a little help. My sessions for both humans and horses are centered around what the mind-body-spirit needs in any given moment. I follow the wisdom of the being to uncover what it needs in order to find it's natural balance and to heal itself. Natural Therapeutic work has become a great passion of mine. I am honored to be able to offer this work to those who cross my path and seek my medicine."